Anyone who hasn’t yet bought Battlefield 1 can play the game for free on PC or Xbox One this weekend. 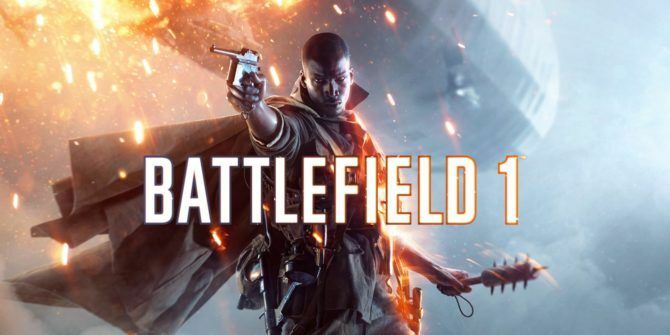 EA is granting gamers temporary access to the World War I shooter in the hopes they’ll get hooked. That is if they’re not too busy unboxing their new Nintendo Switch. Battlefield 1 is a seriously good shooter that changes things up a little. There have been countless shooters set in World War II, but World War I is a road less traveled. Couple that with Call of Duty: Infinite Warfare failing to achieve greatness, and EA has a bona fide hit on its hands. However, the Nintendo Switch Nintendo Switch: Everything You Need to Know Right Now Nintendo Switch: Everything You Need to Know Right Now The Nintendo Switch has finally been shown off for the public! Want to know what Nintendo has in store? Here's everything you need to know about the Nintendo Switch! Read More is being released this weekend, and PS4 gamers are currently obsessing over Horizon: Zero Dawn. Which is why EA is keen to remind people that Battlefield 1 is still a thing. Cue a free weekend on PC and Xbox One for anyone who hasn’t yet bought the game. On Xbox One, the whole of Battlefield 1 is available to play for free from 9AM PT on Friday, March 3 until 11:59PM PT on Sunday, March 5. You can work your way through the single-player War Stories, or dive into the multiplayer matches. Either way, any progress you make will remain valid if and when you then purchase the full game. To play Battlefield 1 for free on the Xbox One just search for the game on the Xbox Store between the dates and times listed above. On PC, a trial version of Battlefield 1 is available from 5AM PT on Friday, March 3 until 10AM PT on Monday, March 6. This version includes the first two single-player War Stories and four multiplayer modes across five maps. PC gamers are limited to 10 hours of playing time, forcing you to buy the game if you want to continue playing. To play Battlefield 1 for free on PC just keep your browser pointed at the Origin Trials page between the dates and times listed above. These free weekends are a great way of letting people try games before buying. EA knows that as good as the single-player campaign is, the multiplayer is what will keep most gamers playing. And one weekend is nowhere near long enough to get good at Battlefield 1. Have you played Battlefield 1 yet? If so, what do you think of the game? Do you love or hate the World War I setting? Do you prefer the War Stories campaign or the multiplayer? What other games would you like to play for free? Please let us know in the comments below! Explore more about: First Person Shooter, Free Games, PC, Xbox One. I stopped subscribing to Origin, because every time that I try to download a client I get OriginThinSetupBeta.exe (which does NOT work). And when I contact Origin to ask for help, they do a whole lot of nothing!! !